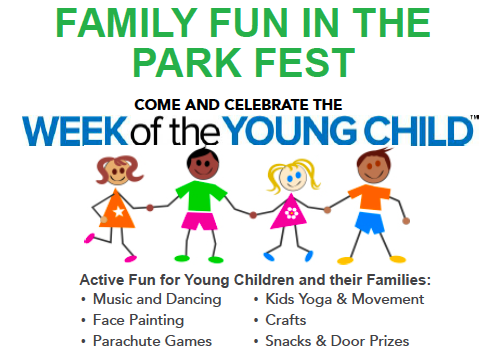 Come Celebrate the Week of the Young Child in Montgomery County, Maryland! 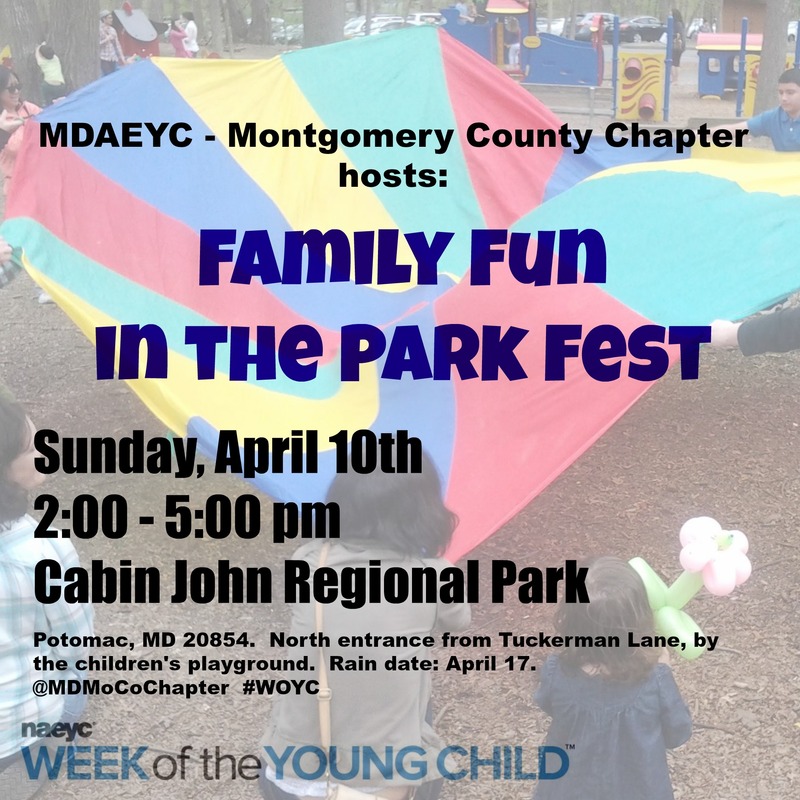 MDAEYC Montgomery County Chapter is hosting a Week of the Young Child park event on Sunday, April 10, 2016 at Cabin John Regional Park from 2:00 to 5:00 pm. Come move, dance, and play in the park! Young children and their families can enjoy music and dancing, face painting, yoga and movement, crafts, snacks and door prizes. Volunteers needed: MDAEYC MoCo needs assistance with setting up activities, staffing tables, handing out materials, and packing up at the end of the event. Early childhood educators can earn 1 PAU for volunteering at the event (volunteering details here). High school students can earn SSL hours for volunteering. The Week of the Young Child (WOYC), an annual event sponsored by the National Association for the Education of Young Children, is celebrated in communities throughout the nation. WOYC events shine a spotlight on young children and the early childhood education profession. MDAEYC — Montgomery County Chapter is a membership organization of early childhood education professionals who live or work in Montgomery County, Maryland. You can follow the Montgomery County Chapter on Twitter or Facebook.